Five University of the Highlands and Islands students have been awarded scholarships from international golfing organisation, The R and A.
Jamie Macintosh (18) from Inverness, Kieran McCormick (18) from Glasgow, Michael Schinkel (20) from Kirkwall, Alistair McNaughton (20) from Paisley and Riccardo Cellerino (23) from Italy have each received between £750 and £1000. The money will support the students to compete at an elite level in regional and golf national competitions, including the British Universities and Colleges Sport tournament. Speaking about his scholarship, Alistair McNaughton, said: “The R and A bursary will greatly assist me by allowing me to compete in national competitions and to work towards achieving my goals for the student golf season and the full golf season beyond. The R and A has also provided an institutional grant of £3000 to support the university’s golf curriculum. The university offers a BA (Hons) in golf management and a BA (Hons) in professional golf at North Highland College UHI’s campus in Dornoch, where it has developed strong links with the Royal Dornoch Golf Club. 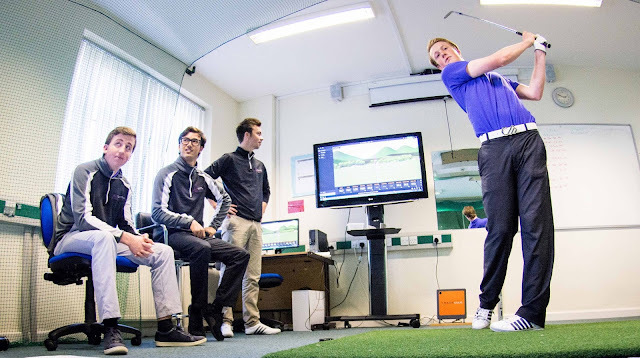 Alan Fleming, programme leader of golf curriculum and university coach, said: “Our golf curriculum is an important area for the university and, part of this, is our performance programme. This includes providing our students with daily access to excellent practice and training facilities as well as our Level 3 coaches. Jackie Davidson, assistant director - golf development at the R and A, commented: “We are committed to supporting the next generation of golfers to reach their potential, as well as encouraging young people to look towards the career prospects and opportunities the golf industry has to offer. The R and A, together with the United States Golf Association, governs the sport of golf around the world. It invests more than £300,000 in student and university golf each year. It currently supports golf programmes at 16 universities and awards 100 Foundation scholarships to players from all over the world.